Groove Videography offers professional videographers to capture the essence of your day in a movie like format. The face of videography has changed in recent years. No longer will you see large obtrusive cameras with harsh lighting in your face. Our Team of videographers will be discrete and out of the way. 4K and the latest in visual technology. We will document the whole day for you and for future generations to enjoy. Video footage of your wedding can keep your memories vibrant, for years to come! Select the package that best fits your video wants and needs! 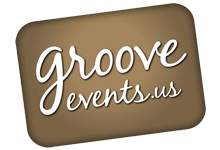 Caitlin and John Highlight from Groove Events on Vimeo. Wedding Highlight Video - 8/6/16 from Groove Events on Vimeo. groove 2016 year in review from Groove Events on Vimeo. Groove Events || David & Elisa || DYC MA from Groove Events on Vimeo. Videography of a ceremony in a Greek church and Reception at The Danversport Grand Ballroom. 08-04-17 Krissi & Michael from Groove Events on Vimeo. A beautiful ceremony at The Garden Terrace Pergalo!